U.K. Treasury chief George Osborne says he wants to take an ax to the country's corporation tax to boost investment in the aftermath of the Brexit vote. Osborne said in an interview with the Financial Times he plans to cut the tax rate to below 15% from its current level of 20% to show Britain is still "open for business." 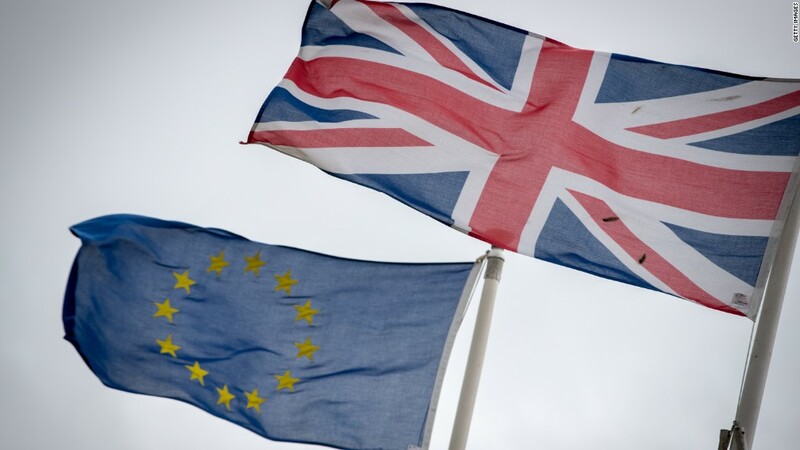 The recent vote to leave the European Union has plunged the U.K. economy into uncertainty and thrown the government's financial plans into disarray. Osborne was forced last week to abandon a long-held goal of producing a budget surplus by 2020. "The referendum result is as expected likely to lead to a significant negative shock for the British economy," he said Friday. "How we respond will determine the impact on people's jobs and on economic growth." In the interview in Monday's edition of the Financial Times, he outlined a five-point plan that included a new push for investment from China, which the U.K. has aggressively courted in recent years. Britain already has one of the lowest official rates of corporate tax among major developed economies, and it plans to lower it to 17% in 2020. But Osborne now wants to cut much farther and faster, saying the U.K. should "get on with it" to attract investors. The impact of the Brexit vote is already rippling through business in Britain. Companies are cutting forecasts. Telecoms giant Vodafone may move its headquarters overseas because of uncertainty over the future relationship with Europe. Richard Branson has canceled a big deal. Real estate investments are being held back. Heavily slashing corporation tax could further fuel tensions with neighboring European countries, however. It could also create an outcry in the U.K., where criticism has flared over the amount of tax paid by big international companies like Google. Osborne had warned ahead of the vote that an emergency budget of tax increases and spending cuts would be needed to fill a "black hole" of about £30 billion ($39.9 billion) per year if the U.K. left the EU. But the Financial Times article said he is now "striking a more cautious note, awaiting official forecasts before announcing any new measures" in the fall. With U.K. politics in turmoil, it's also unclear how things will play out for Osborne, who campaigned for the U.K. to stay in the EU. He told the Financial Times that he wants to play a leading role in shaping the country's economic future. Theresa May, the leading candidate to succeed David Cameron as prime minister, said last week that the government should borrow more in an attempt to avoid raising taxes.